So, help is at hand, with our guide of 10 relationship tips for men. Read on to discover some of the secrets that will help you become a master of having a successful relationship. Yes, yes, we know, women go on about this all the time. But guess what, guys, learning a few communication secrets is all you need to do to ensure that your relationship moves onto another level and stays there. And here’s a secret – women aren’t that great at communication either… They just use more words to say less stuff! But seriously though, all it takes is the odd time of being open and genuine about your feelings. We’re not saying you should become a gushing open book, but telling your girl your feelings, hopes, fears, dreams etc. about what it is you want from your union will have an incredibly positive effect. Guys! This is a biggie, and you might not even get the reason why. For many men, once they’re in a committed relationship, they make big decisions without consulting their partner. Sure – you might be the breadwinner (although today it’s likely that your lady brings in as much, or perhaps more of a wage than you). And you might think that you’re being considerate by taking the burden away from her. OK, so in some cases women have shot themselves in the foot with wanting to be treated equally. But make no mistake, chivalry is still something that’ll make your girl feel special. Open doors for her, help your with her coat, let her order first from the menu… These things are simple to do, but have a powerful effect on a relationship. We’re not saying you have to be slavishly thankful for every little thing that she does. But what is important is to acknowledge the little things – it shows you notice, and aren’t simply taking her for granted. If she’s done all the laundry, then a simple ‘thank you’ is all it takes. Or if she’s done the grocery shopping, a cry of appreciation when you open the refrigerator to a shelf full of goodies will do the trick. And d’you know, there are so many ways to show appreciation by actions rather than words. For example, she probably takes the trash out on a regular basis. All you need do is take it out instead. Or why not change the bed sheets? Or offer to clean her car? Simple actions, but ones that mean so much. Listen – we know you’re a red-blooded male, it’s one of the things we love about you. But blatantly staring at other women when you’re out with us? Well, how would you feel if we focused our attention on every good-looking guy that walked by – even if we were mid-conversation with you? Hold the front page! (Some) women tend to get in a row when they’re trying to sort out a problem. OK, we’re not saying we’re perfect (because we’re not), but chances are, if we’ve brought up something that ends in an argument, we’re pretty scared about it as well. And if you walk away, it simply intensifies this emotion. The whole thing about relationships is learning how you can work through challenges, not try to avoid them. That’s why we chuck accusations such as ‘childish’ and ‘immature’ at guys who do just that. We’re not trying to wound you, we’re just pretty damn frightened that we can’t sort out our differences. End of… Just don’t do it! And be romantic in different ways. Sure, sending flowers is great (and much appreciated). But a spontaneous kiss in public will work wonders, or a suggestive text when she’s at work (not smutty – that’s not romantic). 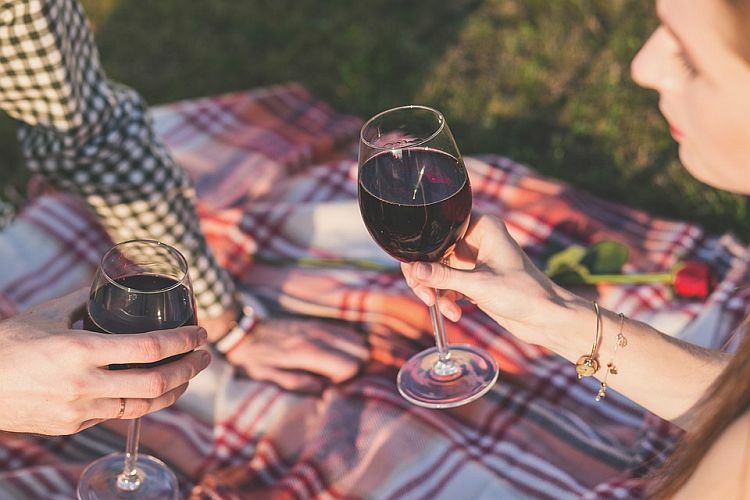 Cook her dinner when she least expects it, run a bath when she gets home from work, take her for a Sunday picnic, hold her hand when you’re out… These are all powerful ways to be romantic (and hey, they don’t cost much – if anything – either). Of course, we know the same applies to females too – we’re not being one sided. But in a world of super models, impossibly beautiful reality TV stars, super-skinny models, and magazines that tell women on a daily basis how to look the part, it’s only fair that we expect our guys to try to scrub up too.